When I first learned about Shannon Cutts and her work, I knew that this woman was about to make a big difference in countless lives. At the time, mentoring in eating disorders wasn’t really talked about much. Shannon and her nonprofit MentorCONNECT started this conversation on an international level. I immediately supported MentorCONNECT, because I knew that such a program would have been incredibly helpful in my own healing from an eating disorder. In early recovery, my mentor, Emily, gave me hope when I lost it. By sharing her journey, she helped me see that maybe, just maybe, I could fully recover, too. Today, related to various topics, I serve as a mentor to many people, including my five-year-old nephew, Aiden. Through mentoring, I assure that I am always growing as a person. Being a mentor helps me to stay accountable. When I encourage my mentee to meditate (I haven’t recommended that to Aiden just yet! ), I need to follow my own advice. If you have been strong in your recovery for at least twelve consecutive months, consider becoming a mentor with MentorCONNECT. As Shannon says below, it just might change your life forever. This post is one in a Life Without Ed Birthday Blog Series celebrating both recovery and the Tenth Anniversary Edition of the book, which was just released. In March, stay tuned for the audio book. 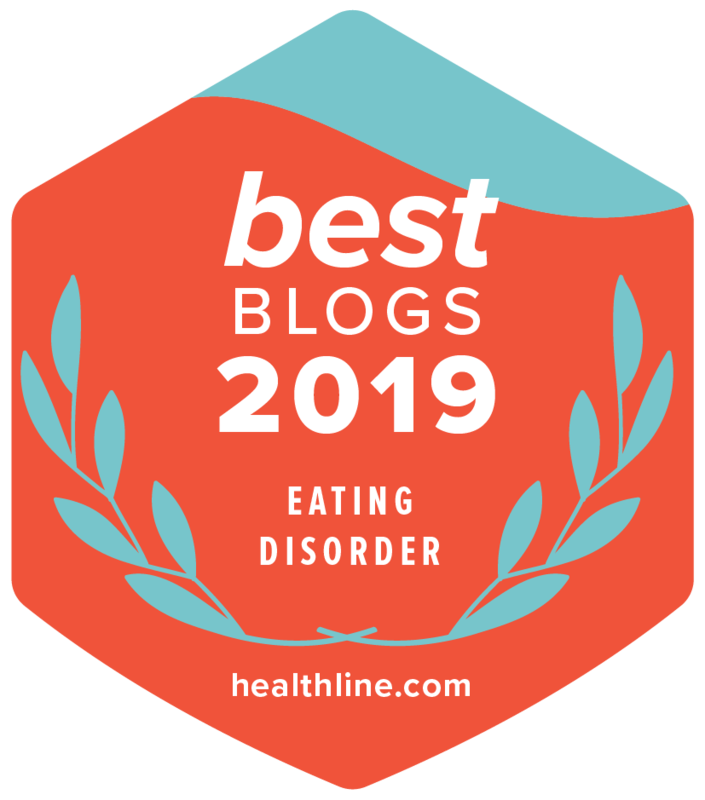 I often tell our new volunteer mentors on MentorCONNECT, the global eating disorders nonprofit mentoring community I founded in 2009, that when I first started mentoring I had no idea it would change my life forever for the better. At the time, I was pursuing my passion for songwriting (basically by playing for free at any little hole-in-the-wall that would have me). One night after a coffee shop show, a young woman asked me to come share my recovery story at her treatment center. Please understand—at that time I was inversely interested in sharing anything at all—recovery or otherwise—that might require me to speak in public. Nooooo way. Thanks but definitely no thanks. But the young woman was very insistent. She started writing me letters. She called the treatment center events coordinator and gave him my address and my phone number. Then he started calling and writing. Finally, a year later, I caved in and agreed to speak. This single experience completely altered the course of my life. It was tremendously empowering. While my recovery was growing stronger by the day, after a 15-year battle with both anorexia and bulimia, more than just my body had been compromised. To be honest, I still didn’t see too much worth in me (except perhaps for my dogged determination not to die at home in my bed from a sucky eating disorder—if I was going to go young, I wanted to go in style, like 007 saving the world from terrorists). Post a comment below about your mentor and be entered into a drawing to win a signed copy of Beating Ana! So when it dawned on me I actually had valuable insights that might help another human being – well, bring it ON. I wrote her back with alacrity, and this initial communication launched a mentoring partnership that spanned several years and eventually led to publication of my first book, Beating Ana: how to outsmart your eating disorder and take your life back. In the book, I share correspondence from five of my longtime mentees, offer insights into their recovery questions and explain the tools I developed to recover from my eating disorder. It was while writing Beating Ana that I began to really take this “mentoring thing” seriously. I realized that, just like recovery itself, the priceless opportunity to mentor others had totally transformed my life forever for the better. It was perhaps the most worthwhile use of a life I could ever comprehend. I wanted to keep doing it forever. Today, thanks to MentorCONNECT, it looks like my dream is finally coming true. This month is National Eating Disorders Awareness Week (February 23 – March 1, 2014). This year, MentorCONNECT and NEDA have once again partnered to co-host our 4th annual “NEDAwareness Week Virtual Walk,” a unique nationwide awareness event that uses social media to generate awareness, offer hope, and raise funds for both organizations to continue offering our free recovery support programs and services. MentorCONNECT and NEDA will be offering the Virtual Walk and other fun events all during the month of February—Jenni will be a big part of our festivities too—so please join us in any way you can! –February 1 – March 10: NEDA and MentorCONNECT launch the month-long “Virtual Walk” to raise awareness and funds for both organizations. Are you grateful for a mentor? Who is it? How has this person enriched your life? Please post your answer below and automatically be entered into a drawing to win a signed copy of Beating Ana!